Always address instructors as coach. 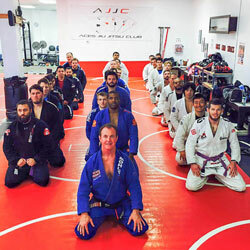 If you are late, wait outside the mat until the coach gives you permission to join. 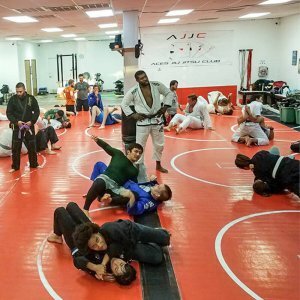 Do not leave the mat area without permission from the Coach. If you are wearing flip flops, you must clean your feet before you step on the mat. 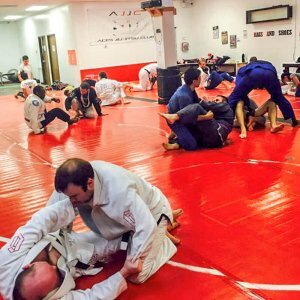 You must always wear a shirt or rash guard inside the academy. All training gear and bags should be left in designated area, not on the benches around the training area. Be respectful towards your training partners and coaches. All jewelry, piercings, necklaces, and other adornments should be removed before training. All students and visitors must wear a AJJC approved uniform(i.e. no patches from other schools/affiliations).